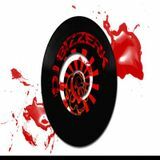 Bizzerk is a talented and well known dj and producer. His journey into the music production started in early 2000 when he met Inferno. Five years later he was introduced to the DJ scene and has been performing since 2005 to present. His main style is represented by Hip-Hop, Breaks and Electro. However, Bizzerk can lay out music of any other genre that’s put in front of him. His shows and live events are played out and mixed in ways it brings the crowd up on their feet, jumping, and craving for more. The main way he brings the music to the crowd is through vinyl, however, he loves using a controller as a stand-alone or mixing it with vinyl or CDJs. Mixing throughout Florida he has also become a renowned DJ overseas from the numerous music sites he has collaborated with and participated on.